Fortnite’s weekly challenges were introduced in season 3, and have been going strong ever since. To learn more about the weekly challenges and how they work, or to find out what last week’s challenges were (remember they’re good all season long), check out our blog post here. Remember, if you don’t have a Battle Pass yet you need v-bucks to get one, and we have v-bucks in our webstore. 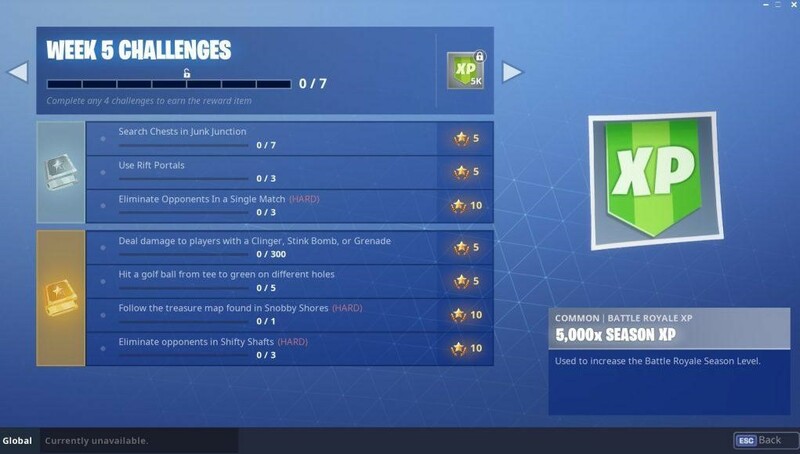 Without the Battle Pass you won’t have access to more than half of these challenge and the rewards that they give! As far as chest searching goes, this location is not bad! This challenge would actually be pretty easy, except for the fact that everyone is going to be clamoring all over the area this week also trying to complete this challenge. 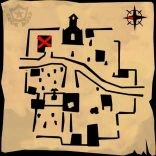 Here is a map showing the spawn points of the chests. This would be a challenge that maybe you should wait a week or two before attempting (remember the challenges are good all season long!). We had a similar challenge last week though, and if that one didn’t seem like too much of a hassle for you, then go ahead and try this one without waiting for the hype to die down. This challenge may be a little hard for players that are newer to the game, but it’ll give you a chance to get better! And for more experienced players, this should be a piece of cake. After all, eliminating players, ideally multiple players in a match is… kind of the point of the game. The difficulty of this challenge depends on your weapon skill-set, but we think this one is a lot easier than the sniper rifle challenge last week. Remember you only need to damage enemies and not eliminate them. 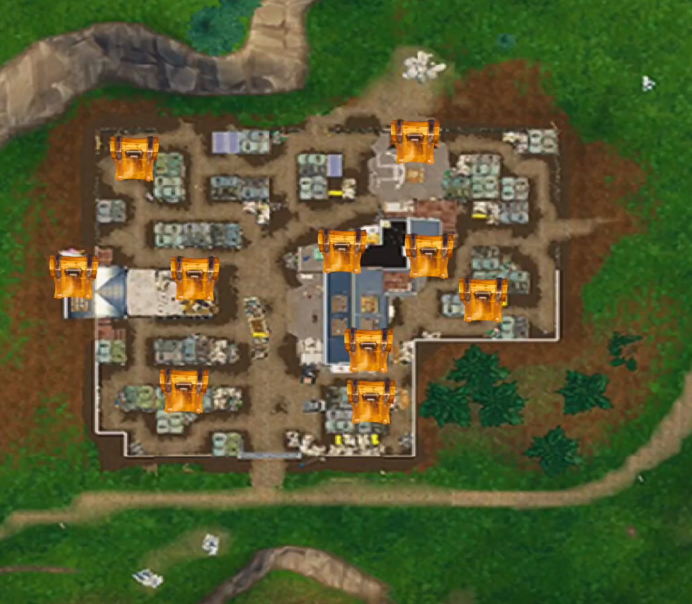 The best way to accomplish this challenge would be to find the explosive that your working on, head to a close-quarters area with a lot of players (maybe Junk Junction this week), and then spam, spam, spam until you hit someone! In order to accomplish this challenge you’ll need to first need to hit tier level 27, and then unlock the golf club toy. 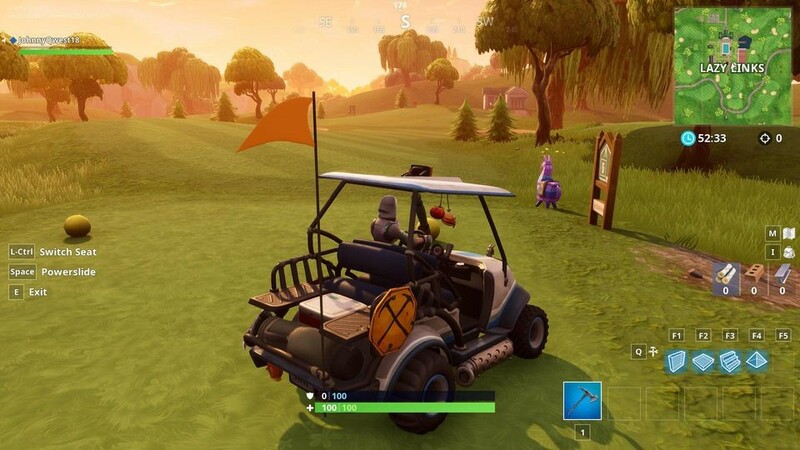 After that, you can head over to Lazy Links and try you luck! There are 9 different holes in Lazy Links to try your luck on. This is a lot like the basketball challenge, so consider that when thinking about how many interruptions you might have during your attempts and this challenge, and what kind of weapons you might want to bring to deal with these interruptions. Practice for a bit to get a hang of how to aim, and you should get it soon enough. It’s a lot easier than a sniper rifle! Oh, and grab an ATK, it’ll make it a lot easier to get from hole to hole– just like real life! 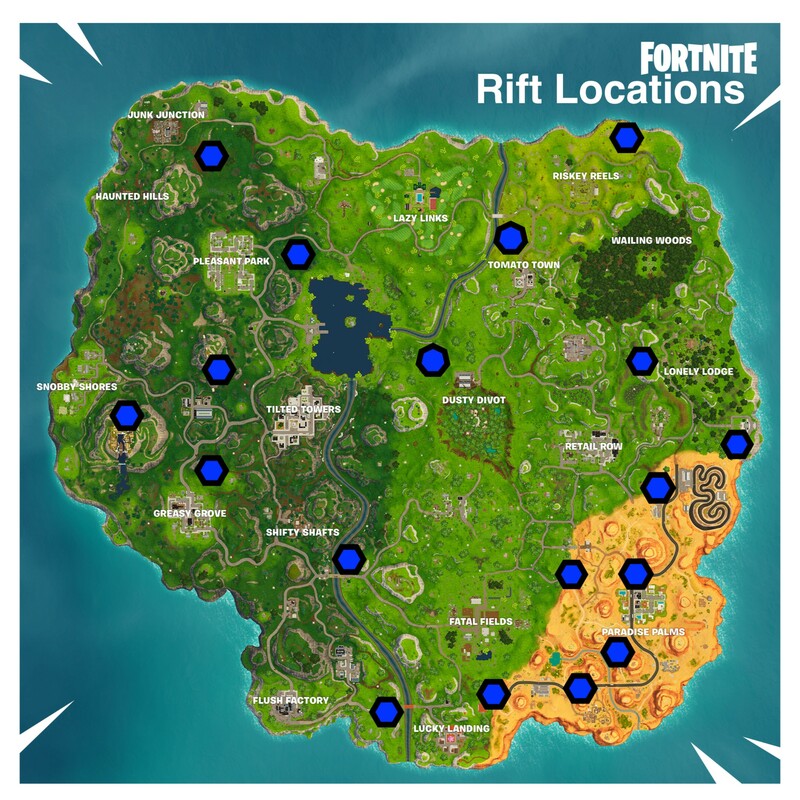 You can pick up your map in Snobby Shores, as the challenge states, they’ll be randomly spawned there. Spoiler alert: the treasure will be in Haunted Hills! You probably already guessed it by the big church-looking-thing on the map… Well as you can also see from the map, the treasure is in the building to the left of the church, on the TOP to be exact. Definitely grab a shotgun to make this challenge a lot easier; it’ll work great in the close quarters. 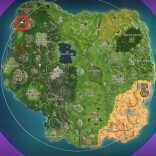 And this area should be crowded with other players trying to complete the challenge at the same time, so it shouldn’t be too hard to get a kill in here or there. Get out there and get started on these challenges! You’ll find us in Junk Junction this week, so don’t steal our chest! Remember to check back each week for the newest Fortnite challenges. And if you need more help with this week’s challenges, reach out to the community on our Facebook, Twitter, or Instagram. There are a lot of other Fortnite players in our community, and I’m sure they’d be willing to give you a hand!